Sandia Office Supply has everything you need to keep your office running smoothly and efficiently. We offer a full range of office products, including everyday needs like printer paper, promotional pens, furniture, cleaning & breakroom supplies and so much more! When you choose Sandia Office Supply of Albuquerque, you get local customer service and a local delivery team dedicated to exceeding your expectations. Our team will get to know your unique preferences so that we can adapt our business to your needs. 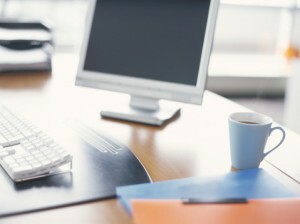 We’ll also work with you to find ways you can save money and make maintaining your office supplies easy and efficient. We carry over 30,000 office supplies to ensure we have exactly what you need. Next day delivery is standard—no minimum order! It is our goal to make sure you get the office supplies you need when you need them. And ordering is easy! You can easily order office supplies online through our website or create online orders directly from our print catalog with a barcode scanner we can provide for you. When you choose Sandia Office Supply, we truly partner with you to find the most affordable solutions for your business. Our representatives will conduct a comprehensive business review to identify cost savings and productivity enhancement benefits. Whatever you need to streamline productivity, you can count on Sandia Office Supply. We’ll design a solution to match your unique needs, including easy ordering of office supplies online. You can trust us to deliver complete and accurate orders on everything from promotional pens to printer paper and everything in between. Sandia Office Supply is your trusted solution for efficient office supply solutions! Contact us for more information. Call 505-341-4900 or order office supplies from Sandia Office Supply of Albuquerque, NM today!